Aizawl, Jan 22 : Thousands turned up Thursday to take part in the Mizo National Front’s “People’s March” in more than a dozen towns against the rise in prices of state-supplied services and commodities in Mizoram. 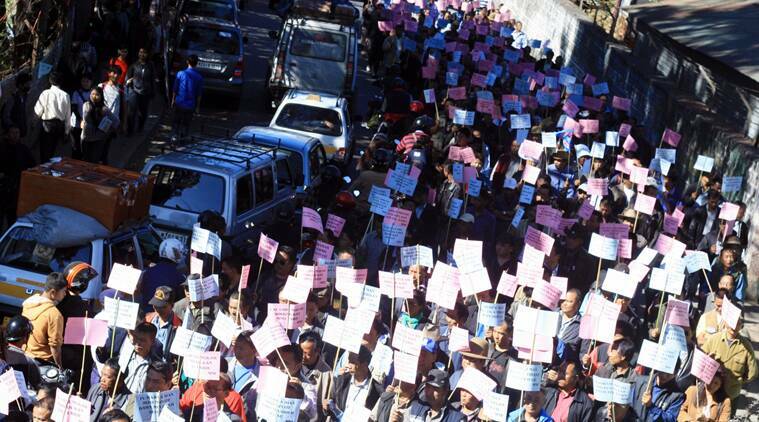 Marchers in capital Aizawl numbered between 1000 to 1200, according to police, as the state’s eight district headquarters and several other towns also witnessed sizeable turnouts. The protest marches were peaceful although it disrupted traffic in various places, and MNF leaders poked jeers at the Congress government’s “financial mismanagement” that they said led to between a 50% to 300% increase in prices of various government-supplied goods and services including water supply, subsidised PDS rice and land taxes. 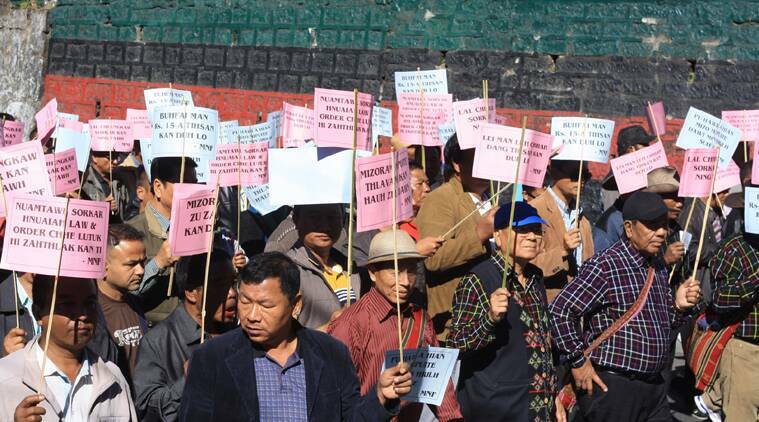 The rally at Aizawl culminated in leaders submitting a memorandum to Governor Aziz Qureshi.